Germany, 5th Sept, 2013: Samsung today officially launched Android Powered Galaxy Gear, its first most elegant and amazing smart watch at IFA in Berlin. 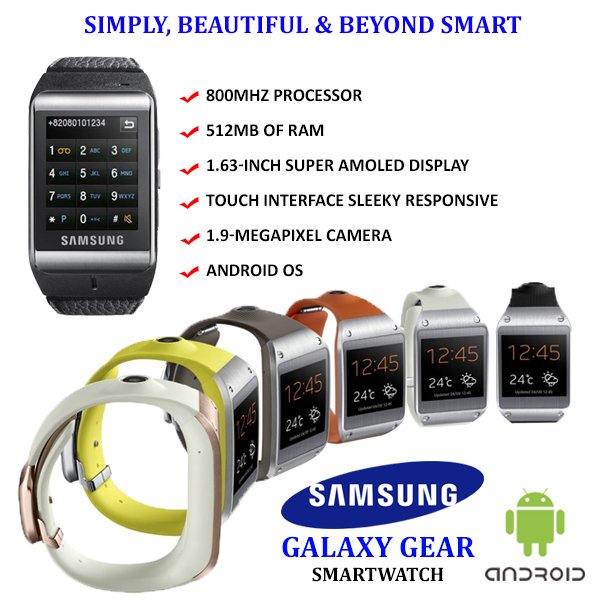 Galaxy Gear is intended to lead what is expected to be a new generation of smart watches and wearable gadgets. Smart watches are designed to cut the noise of phone, with its apps and games and notifications and social networks and alerts and alarms and little red numbers shouting for your attention — and the Gear manages that with a playful elegance. The combination of simplicity with function: it’s incredibly easy to control. Lower power Bluetooth is available to sync with the Smartphone. You can swipe the screen from left to right through screen selection. When you start scrolling to the right you will be able to see a number of options starting from home screen to notifications, then voice memos, then S Voice commands, then your photo gallery, the music player, a pedometer, settings, and an apps shortcut. From the left scroll you can see your contact diary followed by the phone call log details. You can customize the home screen and can also add calendar appointments. You will able to track new messages or alerts through notifications. You need to tap on screen to see your message. You can even record 5 minutes voice memos or instruct the watch by scrolling to the S Voice app. You just need to tap on photo gallery to see thumbnail of your photos and videos. To listen to the music from Gear you just need to tap on the music player and will get basic controls like play, pause, backward and forward. Swiping up the home screen starts the camera whereas swimming down will display the number keypad. There will be around 70 applications which will be optimized for Gear’s small screen. Samsung overtook Apple last year as the world’s largest producer of smartphones, got into the watch business in 1999 with a model that consumers ignored. Available colors include lime green, oatmeal beige, wild orange, mocha gray, jet black and rose gold. Users of Galaxy S3 GT-19300 can enjoy unsullied experience of Vanilla Android with Nexus-styled interface. The entire credit goes to the newly launched SuperNexus 3.0 ROM that is created from Android Open Source Project (AOSP) released by Google. The SuperNexus ROM proposes bloatware-free experience that is no third-party applications. It includes a host feature of optimisations and enhancements hand-picked from sources of CyanogenMod in a less weighted package. It also gets numerous SoC connected patches with due credit to the source code of teams Hacksung’s Device Tree and CyanogenMod. Step 1: Connect and mount the USB mass storage of your phone via USB cable to a computer. Step2: Without extraction, copy the downloaded zip file of Google Apps and ROM to the source folder on the SD card of your phone. Step3: Switch off the cell phone and disconnect USB cable. Step 4: Hold the Volume Up, Home and Power buttons and press them together in order to boot your device in CWM recovery. You can use volume keys for navigation between Power key and options in order to select a recovery option. Step 5: In order to restore it later perform a Nandroid backup of the present ROM in case the new downloaded ROM fails to install or if you wish to re-install the previous version of the ROM. Select Backup and Restore for performing back-up, and then click Backup that is on the next screen. Now move back to the main menu of recovery after completion of the backup process. Step 6: Performing a task of wiping the full data is to be done as follows: Select Wipe Data/Factory Reset/Yes to confirm. Wait for few minutes for the data wipe process to complete. Step 7: From SD card click on install zip and then select the option of Choose zip from SD card. Now, browse for the zip file of ParanoidAndroid 3.97 ROM that you copied earlier and select it via tapping the Power button. Confirm the installation by clicking Yes and installation will start. Step 8: After the installation of the ROM, repeat step no.7 but this time choose the zip file of Gapps for installation of Google Apps. Step 9: After the installation of Google apps, again return to the main menu of recovery and click on the Wipe Cache Partition. Be patient for the process to complete. Lastly, under advance option select Wipe Dalvik Cache. Step 10: Now boot-up the phone by hitting the reboot system into the new ROM. However, booting for the first time may take a long time. 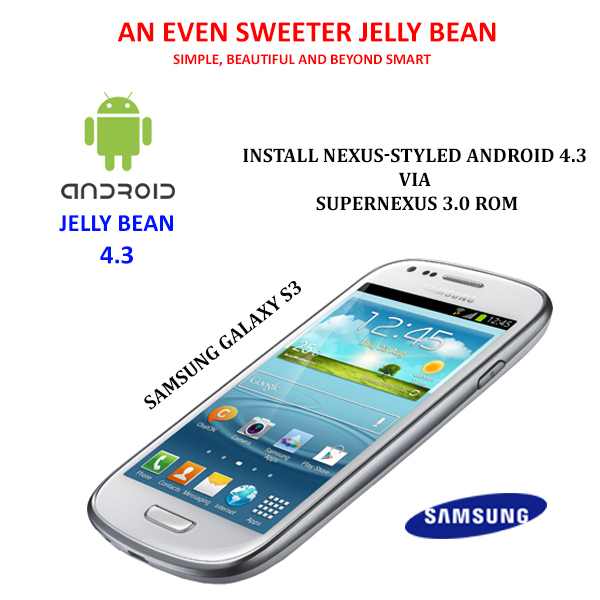 Now, Samsung Galaxy S3 GT-I9300 will successfully e updated to Android 4.3 based SuperNexus 3.0 ROM. To verify the firmware version go to Settings > About Phone. Smartphones have captured the market in recent years with the Google app world feature that provides numerous applications for free for all the smartphone users. 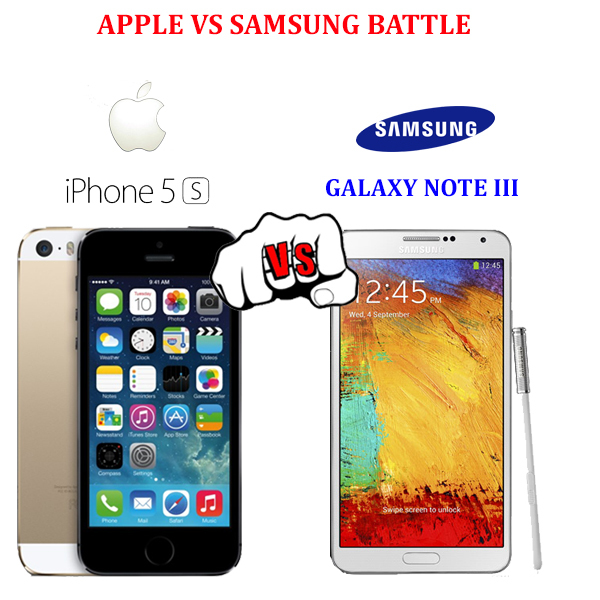 Both the well renowned companies of the world Samsung and Apple are competing in the market with the launch of their latest models. 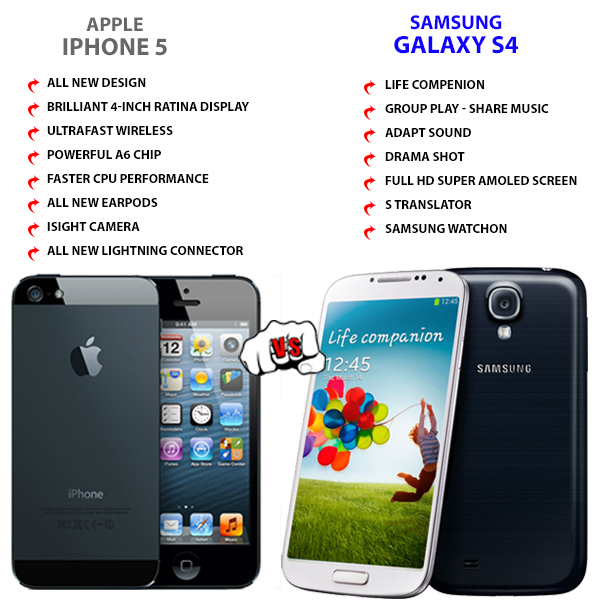 Apple has released latest iPhone 5 and Samsung has come up with Galaxy S4. This is the most memorable comparison of smartphones occurring in past few years. However each device is having its own features with particular fanatics and critics. Since an average user of smartphone is unable to grasp the complications in technology used in each of the respective devices the users are adamant on the thought which smartphone will provide a better experience. 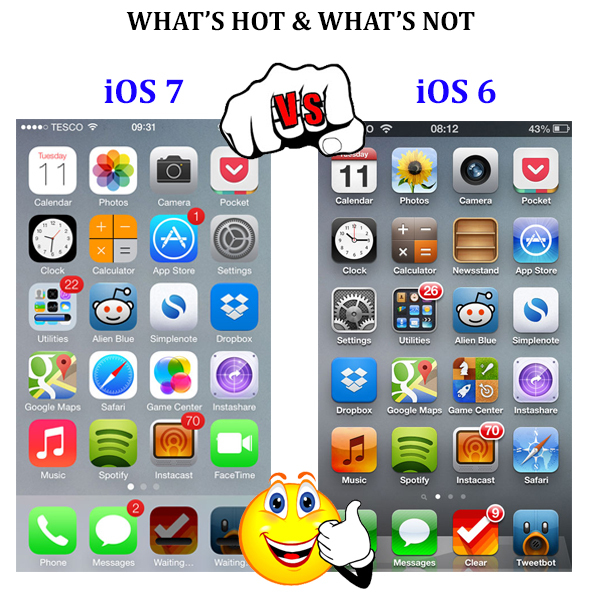 The iPhone 5 is glorified for its smooth and unique operating system that is out of the box. Galaxy S4 has installed advanced Android operating system that will enable users to personalize what they experience. However there are two most important differences in them which also leave an impact on the user’s view of each device. The first thing consumer will think is about the ‘cost’ while making purchase of any of the smartphones. 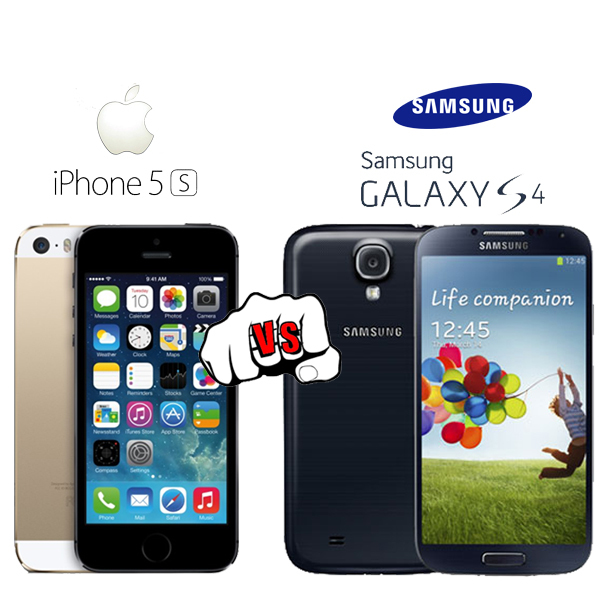 Today in the market demand of Samsung Galaxy S4 is at rage however; its competitor Apple’s iPhone 5 may conquer the market still due to its counterpart of making it a cheaper model. HIS iSuppli estimated huge difference in the cost between both the mobile phones. This obviously means Apple will earn more profit which will ultimately increase its investment in innovation, support, price competition and marketing. Apple iPhone 5 with storage capacity of 16BG costs $196 to the manufacturer. The cost estimated for 32GB storage version is $217 and that of 64GB version would be $238.Samsung Galaxy S4’s cost for 16GB model is estimated $244 which means its cost is $48 more per unit in comparison to iPhone. However the LTE version of S4 with 16GB storage is $3 cheap.